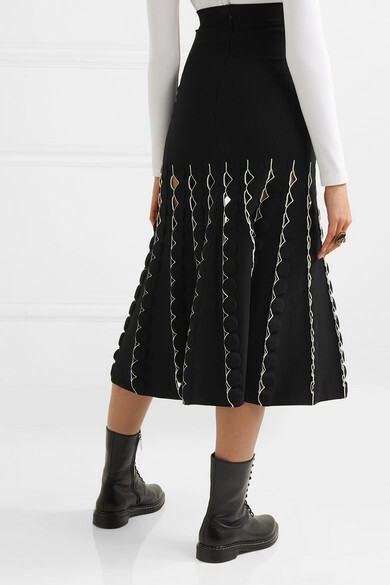 Alexander McQueen's midi skirt is knitted from a stretchy fabric and detailed with geometric cutouts throughout. 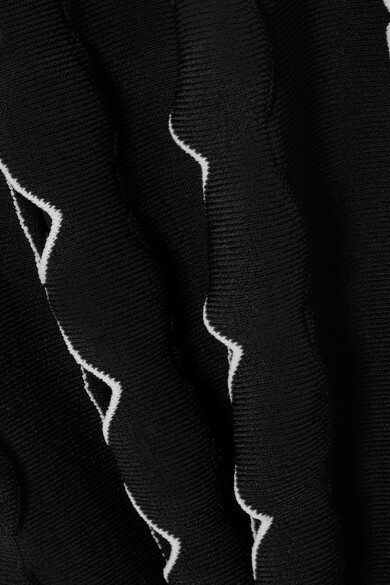 It sits at the smallest part of the waist and flares out to a fluted hem that moves beautifully with each step. Wear yours with a sweater and ankle boots. Shown here with: Alexander McQueen Sweater, Alexander McQueen Pouch.